-Haircare is a $70Billion dollar industry, and still growing. 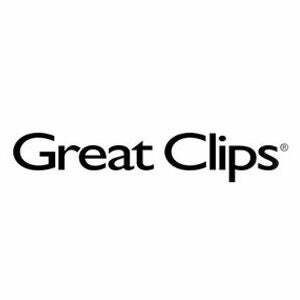 Great Clips is in the convenient, no appointment haircutting segment of the industry, and is the largest and fastest growing haircutting brand in the world. It is a simple, recession resistant business model- we do not offer color, waxing, tanning, or nail services because we want to keep the business simple and focus on the service that we do best- cutting hair. And, no matter what the economy looks like, people still need their hair cut, usually every 4-6 weeks. Great Clips was founded in 1982, and has been franchising since 1983. With over 4200 locations in the US & Canada, we are still accepting new franchisees in over 75 markets in North America. Our salons are manager-run, so it is possible for franchisees who have a flexible full time job to keep that position and do the business on the side, knowing it’s kind of like a second full time job to start a new business! Great Clips franchisees are always involved and engaged in the success of their business- so whether it’s a husband/wife partnership or that flexible full time position, Great Clips franchisees are aware that they are the driver of their positive results. Haircare experience is not necessary to become a franchisee- rather, solid business backgrounds and people management skills are the traits we see in our successful franchisees. -Great Clips has a support network that is outstanding- from assistance during the site selection process, build out, hiring, grand opening marketing strategies, ongoing growth plans- all the way to helping franchisees who are ready to sell their salons- Great Clips is dedicated to the success of our franchisees. With 100% of our salons franchisee-owned, Great Clips’ success depends on the success of our franchisees. On average, after 5 years in business, our franchisees own between 5-6 salons. Plus, all franchisee's stylists and managers are trained in the Great Clips system by Great Clips corporate staff at our local training centers. “Great Clips improves my ability to grow profitably. I also benefit from working with other franchisees and the hard working and knowledgeable Great Clips Corporate employees. The biggest benefit is the culture of Great Clips. Their actions consistently show that they really do care about you.” Keith C, owns 5 locations.